As an English speaking wedding celebrant living in the Alps, I create unique ceremonies celebrating love and reflecting couple’s values, personalities and aspirations. The ceremonies I craft tell a story, giving wedding guests a real insight into the reasons why a couple are marrying. Planning a wedding with a celebrant is a smooth, enjoyable and fun experience from start to finish. We discuss ideas, and as we get to know each other I compose a bespoke script for the ceremony. We walk through the choreography before the big day and using my local knowledge and expertise, if you’d like, I can advise on all aspects of a celebration, providing complete peace of mind. Because residency laws surrounding marriage are pretty stringent in France, it’s usually easier for visiting couples to register their marriage in their home country before travelling to France for their wedding ceremony. And we talk this through too. Outdoor ceremonies are my favourite, where everyone invited shares the magic. Whether our feet are buried under inches of snow, we’re on the shores of the lake, or bathed in sunshine in the summertime meadows, it’s amazing. 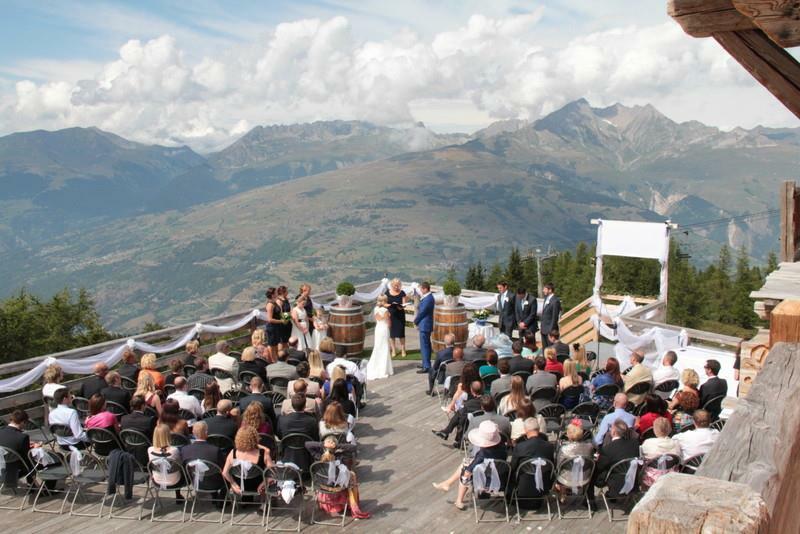 The mountains provide an awesome setting; perfect for marking the most special occasions in your life. Ceremony services start from £595 with planning and advisory sessions also available.